Bill Reid, the most influential Native artist in Canada over the past half century, was born in 1920 to a Haida mother and an American father. Alex Wells is a world champion Hoop Dancer from B.C. and a leader in First Nations culture. His traditional dances portray real and mythical creatures. Vancouver International Airport (YVR) houses a massive collection of First Nations art including a longhouse, whaling canoes, thunderbirds and Hetux. 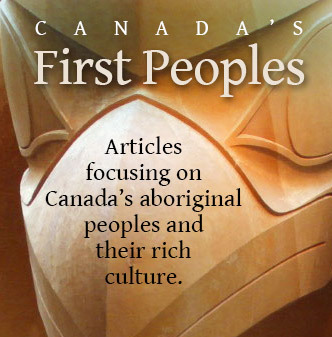 Yukon First Nations have a long history and a fascinating culture. After decades of repression, First Nations culture has emerged and is flourishing in the Yukon. Wanuskewin is a special, sacred place. In Cree it means living in harmony. The Wanuskewin Heritage Park is in southern Saskatchewan just north of Saskatoon.